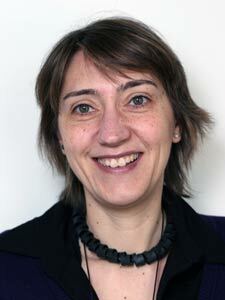 Alicia Llorente, project group leader at the Department of Molecular Cell Biology in the research group headed by Kirsten Sandvig, has recently received a grant to participate in a project funded by the Horizon2020 action ERA-NET TRANSCAN-2. TRANSCAN-2 is a collaborative network of ministries, funding agencies and research councils that aims to align national/regional translational cancer research programmes. Both The Norwegian Research Council and The Norwegian Cancer Society participate in TRANSCAN-2. The project is funded by the Third Joint Transnational Call (JTC 2016) dedicated to "Minimally and non-invasive methods for early detection and/or progression of cancer". A total of 14 projects were funded under this call, and three of them have Norwegian participants. The main goal of the project, entitled PROSCANEXO, is to exploit the use of extracellular vesicles as biomarkers of prostate cancer. The project will establish technically and clinically validated noninvasive tools for the diagnosis and prognosis of prostate cancer based on the analysis of extracellular vesicle counts and molecular composition in blood and urine samples. The project has a total budget of 1.1 Million EUR and has, in addition to Norway, participants from Spain, The Netherlands, Latvia and Estonia.